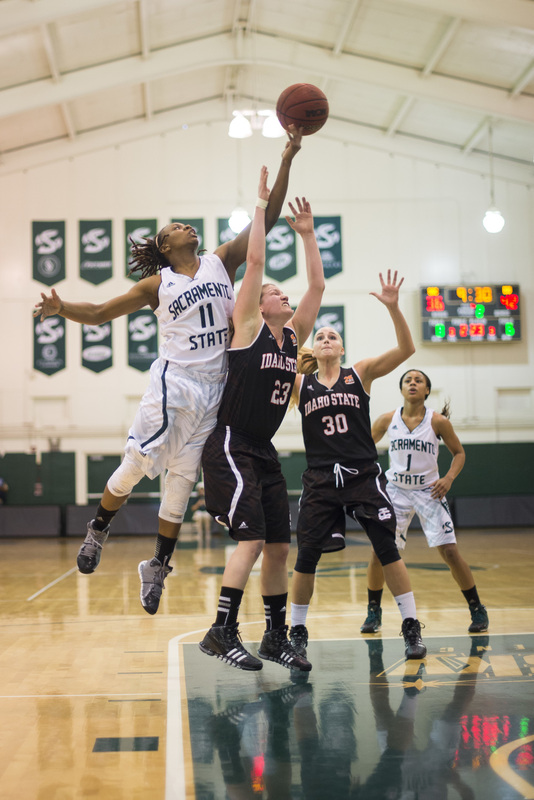 Sacramento State's women's basketball team clinched a spot in the Big Sky Conference championship in their final home game of the season Saturday afternoon. 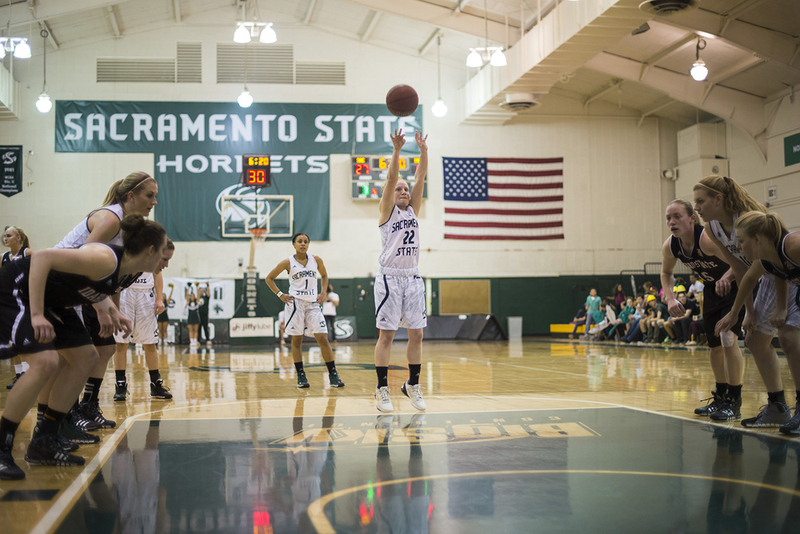 The Hornets defeated Idaho State by a score of 56-53. The Hornets' three seniors - Sadie Clements, Alle Moreno and Se'Nyce Parrish - were honored at the start of the game. With 637 in attendance, the crowd was the second largest the women's team saw on their home court this season, with an abundance of the seniors' friends and family present. The Hornets had a strong start, gaining a 17-point lead over the Bengals in the first half. By the start of the second half, the Bengals had taken the lead and the Hornets trailed by 11 points. With 36 seconds left on the clock and a score of 53-51 in favor of the Bengals, senior forward Clements shot a three-pointer to give the Hornets a 1-point lead. The Bengals were unable to regain their lead, and the Hornets regained possession and junior guard Takara Burse scored the last points of the game. This closed out the game with a score of 56-53 for a significant Hornet victory and a memorable final home game for the team's seniors.